LUA Journal – Leonard Unander Associates, Inc.
We are excited to share with you an exclusive flyover view of LUA’s Hilltop Estate project that is underway. This Project is in collaboration with Abramson Teiger Architects. We look forward to sharing additional photo and video updates of this LUA project and others as they progress! LUA recently had the privilege of collaborating with Two Trees Architects and Tim Clarke Interior Design on this colorful and chic beach house. We are excited to share finish photos from the Breakers Project as well as a few words from the Homeowner. Contractor – Leonard Unander Associates, Inc.
Meet the LUA Management Team! LUA recently had the management team in the office for First Aid and CPR certification with SMART-Medical Training LLC. As a family-owned and operated firm, we place great emphasis on teamwork, communication, and integrity. As a result, we have the opportunity to create and maintain close working relationships with our clients and all members of the project team. We feel privileged to work with such a talented and hard working group of individuals! Clint Unander – Project Manager, Taryn LaVasseur – Office Administrator, Gayle Ramirez – Office Manager, Michael Gordon – Project Superintendent, Brandon Friggione – Project Manager, Zak DeMatteo – Project Superintendent, Tony Ochoa – Project Superintendent, Leonard Unander Jr. – Project Manager, Taylor Whitsitt – Project Superintendent, John Sayer – Project Superintendent, David Kruger – Project Superintendent, Leonard Unander Sr. – Owner & Principal, Mike McGee – Project Superintendent. Contractor: Leonard Unander Associates, Inc.
LUA recently provided an opportunity for the Santa Barbara County Fire Department and the Santa Barbara Police Department SWAT Unit to train at a soon to be demolished project. Both Fire and SWAT rely on vacant buildings to train their teams on how to respond in real life emergency situations. With full range of the structure, both rescue teams were able to simulate crisis scenarios, breach doors, test out new equipment, and practice other tactical drills. LUA will be demolishing this structure in the next week in preparation for a new build. We extend our thanks to those who risk their lives to serve and protect our country and local communities! Stay tuned for additional updates and details on this project once demo is completed and construction is underway! LUA recently had the privilege of working in collaboration with Ronald Frink Architects and Kris Kimpel Landscape Architecture to complete this Birnam Contemporary residence. Located within the prestigious Birnam Wood Community, this residence is the essence of minimalism, sophistication, and contemporary design. Noteworthy features include metal standing steam roofing, custom millwork, and large pocket doors that effortlessly flow the interior of the home into the exterior living space. The exterior of the home includes an imported travertine patio, modern pool, fire pit and dining area surrounded by mature trees, providing a living space consistent with the peaceful nature of the Birnam Wood Community. This successful project was made possible by the collaborative efforts of the homeowner, design team, builder and consultants. We are excited to have completed yet another residence in Birnam Wood. Since 1980, LUA Inc. has built and remodeled several homes in the prestigious community of Birnam Wood. LUA continues to provide discerning clients with successful projects that are pleasing to the homeowner and intimate community of Birnam Wood. Designed by Offenhauser Associates Inc., this meticulously built residence sits within the prestigious Birnam Wood community. This traditional and elegant home offers spectacular mountain and golf course views from its expansive 5,500 square feet of living space. Noteworthy features include; custom wood doors and windows, custom steel windows, imported french limestone used for wall cladding and flooring, french oak hardwood flooring, venetian plaster at interior walls, reclaimed fireplace surrounds, and antique fixtures throughout. Please see select images below and visit our WEBSITE PORTFOLIO to view more. During the pre-construction process, a project team is formed that is built on the collaborative efforts of the client, design team and builder. LUA will work in conjuction with all team members to perform a thorough site study, review and comment on construction plans and details, and develop preliminary construction budgets. Preliminary budgets will include value engineering suggestions that offer cost savings ideas for review and consideration of the team. In addition to accurate budget planning, LUA will develop a construction timeline in the pre-construction phase detailing the primary construction activities and durations. This early-stage planning enables LUA to anticipate staging concerns and long lead times, and results in a smooth and timely construction process. Finally, LUA collaborates with designers and expert subcontractors to provide green building recommendations that are specific to each project. 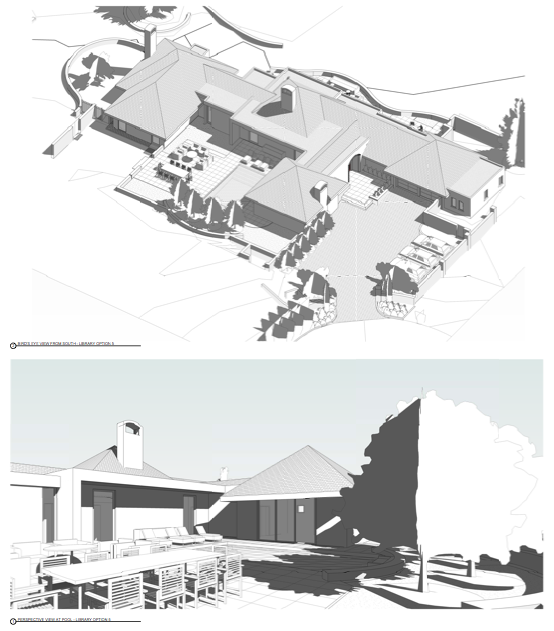 Construction underway…extensive remodel to an existing residence, addition of new guest wing, new hardscape, landscape, and remodel of existing pool. Perched above Montecito, this successfully executed construction project was built by LUA and designed by Tom Meaney. The residence and guest house are situated in the gently sloping foothills of Montecito, California, enjoying panoramic views of the Santa Barbara Harbor, the Pacific Ocean, and surrounding mountains. The irregular shaped site affords many views and privacy to the interior spaces. Introducing the structures into the pan and disturbing the natural landscape as little as possible were the most critical aspects of the design plan. 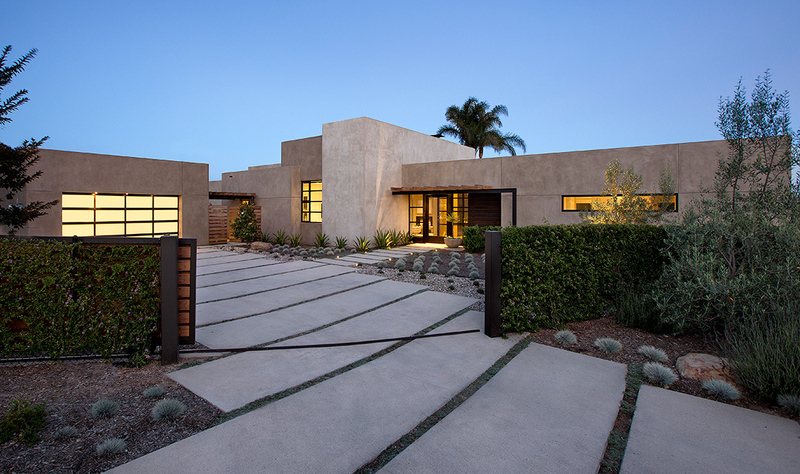 Architect Ronald Frink Architects Inc.
Modern 3,200 sf residence in Montecito with design by DesignARC. LUA was involved during pre-construction assembling the construction team and working to achieve the owner’s goals. Special features; rift cut white oak cabinetry with dark stain, various natural stone countertops and full height quartz stone back splashes, bleached oak wood flooring, Portuguese limestone exterior flatwork, ipe and structural i-beam trellises with LouvreTec operable shading system, RadioRA lighting controls, and Sonos audio systems. “Architect’s Lunch” DesignARC and LUA meet at the residence for lunch. Architecture | Ronald Frink Architects, Inc.
LUA recently completed an architectural feature video of a beautiful estate project completed a few years ago. This is a private video, so please use the password below to view. Please check out LUA’s latest ad in the Santa Barbara Magazine Best of 2014! For projects big and small, LUA has the management and supervision to ensure a successful project. We are dedicated to controlling costs, schedule, quality and most importantly exceeding our client’s expectations. Thanks to all for a great LUA Christmas Party 2013! The coat drive was successful with nearly 100 jackets and coats donated to the Santa Barbara Rescue Mission. We greatly appreciate all who have made this year very memorable and for the lasting relationships that we have made. We look forward to the new year and we wish you and your family a wonderful Christmas! 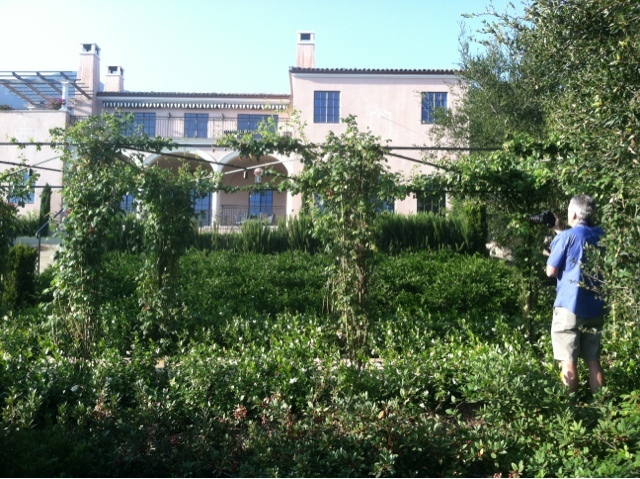 Here’s an update on a beautiful Mediterranean estate project high in the hills above Montecito. This property boasts 180 degree views, infinity edge pool, and custom reclaimed and antique finishes throughout. Stay tuned to our blog: we’ll be featuring a short video on this project shot from a remote controlled helicopter! 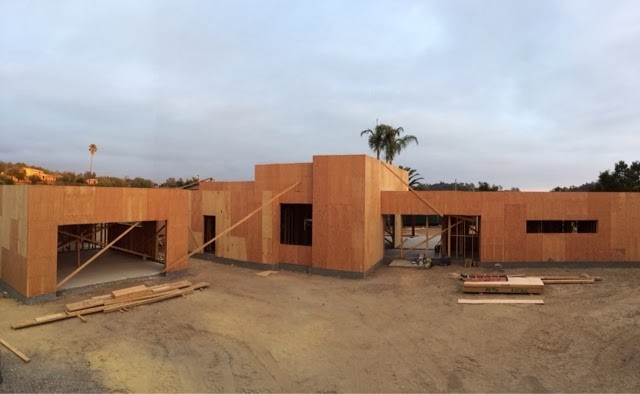 Framing and concrete crews push forward on this 8,000 square foot residence. Efficient sequencing of construction trades is critical in providing a timely project. This custom residence features, a guest house, pool cabana, both with roof gardens, infinity edge pool, large door and windows openings, open floor plan, and custom finishes throughout. Check out our new ad in SB Magazine….featuring a new custom beach house project. Keep your eyes out for some great new shots soon! Check out this video of Villa Ravello, a 15,000 sf estate in Montecito built by LUA and designed by Appleton & Associates Architects. Check out these shots of a crane dropping in some massive boulders to one of LUA’s remodel projects in Montecito next door to the San Ysidro Ranch! AIA Santa Barbara and Lucifer Lighting sponsored an inspiring lecture by Michael Imber, an accomplished architect based in San Antonio, Texas. Michael’s architecture is deeply rooted in the traditional styles found where his work is located. His talk included beautiful historic photographs of architecture from around the world, sketches and paintings that have inspired his work, and his own sketches and realized architecture. The lecture was held at the Coral Casino in Montecito and was very well attended. Michael’s message was “Be Yourself”, and make sure the building you design represent the community and culture where they are located. We’re currently constructing a significant storm water detention system on one of our large residential estate projects in Santa Barbara. When we’re building out these significant properties with new development, the governmental building regulators require that storm water detention systems are installed. These systems collect all of the rain water that runs off the roofs and other hardscape (concrete, stone, etc.) surfaces- retains it in some fashion- and ultimately releases it slowly back into the earth. These systems are intended to mimic the site runoff conditions as if there was no development on the property. In this case, there is a inlet filter box that filters the runoff water before it enters the infiltrator chamber system (pictured). The water is then contained in this detention area until the water level reaches about 18″- when it runs out of a second filter box at the exit point. The water then runs to a spreader trench that distributes the water evenly over a section of the property. Our clients also have the option to retain the water on site and re-use it for landscaping. Or, the water can be put through a purification process that enables the water to be used for domestic purposes. This is a great green building solution. Landscape Architect | VanAtta Associates Inc.
Residence demolition is underway at a new LUA project located in Montecito California. 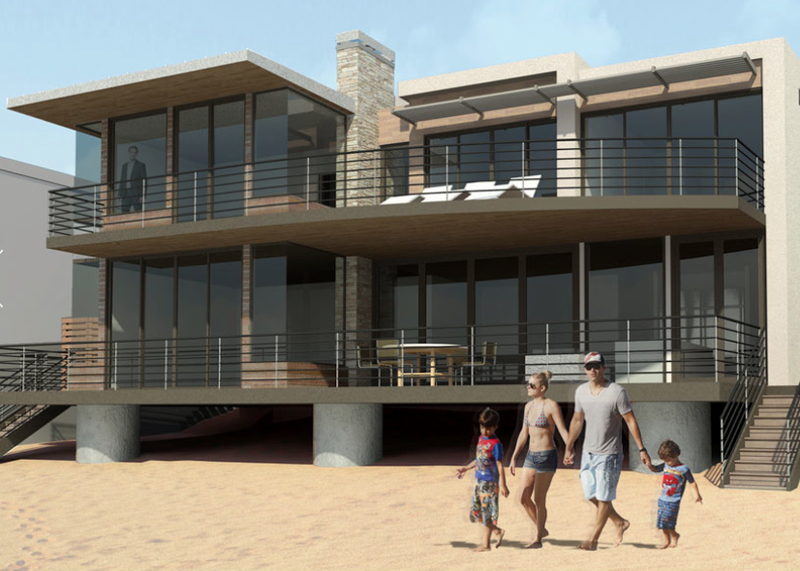 New LUA project underway consisting of a new two story beach house designed by AB Design Studio, Inc. Recycle > Reuse > Reduce…..Rebuild. Last week, LUA was pleased to help in the process of donating many items to Habitat For Humanity. Our generous clients donated items such as, appliances, doors, cabinets, plumbing fixtures, and other miscellaneous items. Designed by : AB design studio, inc.
General Contractor : Leonard Unander Associates, Inc. Thanks to all who attended the LUA Christmas Gathering! Thank you for all the wonderful coats and sweaters to be donated to the Santa Barbara Rescue Mission. We’re happy to share the latest LUA project video showcase of Villa de la Guerra, a historic residence designed by Francis Underhill and renovated by Leonard Unander Associates, Inc., a Santa Barbara Contractor. Originally constructed in 1910, this home was tastefully updated and upgraded by it’s current owners. The work included the addition of a subterranean garage, structural retrofitting, addition of a master bathroom, construction of a new pool, completely new mechanical plumbing and electrical systems, and new interior finishes. Remodel architecture was provided by Kent Mixon Architect, and the interior design was provided by Covet Interiors. Please take a minute to view the video below. Here’s a LINK to the video on Vimeo (higher quality). Established in 1977, Leonard Unander Associates, Inc. is an award winning Santa Barbara Contractor. The custom homes built and remodeled by LUA in Santa Barbara, Montecito, Hope Ranch, and Santa Ynez are a lasting testament to the quality and craftsmanship that is the focus of each project. Our powerful team continues to provide discerning clients with the exceptional construction process and finish product that has made LUA one of Santa Barbara’s premier residential construction companies. The opening lecture and reception was held at the office of Leonard Unander Associates, Inc. The Institute of Classical Architecture & Art, in conjunction with its Southern and Northern California chapters, was pleased to sponsor this tour led by Gabriel Zamora, an architect with Appleton & Associates, Inc. At the opening lecture, Gabriel, an architectural historian, gave an overview of the tour sites, among which will be the private houses and accompanying gardens throughout Santa Barbara. Established in 1977, Leonard Unander Associates, Inc. is an award winning Santa Barbara Builder. The custom homes built and remodeled by LUA in Santa Barbara, Montecito, Hope Ranch, and Santa Ynez are a lasting testament to the quality and craftsmanship that is the focus of each project. Our powerful team continues to provide discerning clients with the exceptional construction process and finish product that has made LUA one of Santa Barbara’s premier residential construction companies. Established in 1977, Leonard Unander Associates, Inc. is an award winningMontecito Builder. The custom homes built and remodeled by LUA in Santa Barbara, Montecito, Hope Ranch, and Santa Ynez are a lasting testament to the quality and craftsmanship that is the focus of each project. Our powerful team continues to provide discerning clients with the exceptional construction process and finish product that has made LUA one of Santa Barbara’s premier residential construction companies. Leonard Unander Associates, Inc. recently completed this custom Montecito Estate project designed by Appleton & Associates. As a Montecito Builder, LUA had the privilege to work with the Owner and Design Team on this project from the Pre-Construction phase through final close out and Post-Construction Service. Please take a minute to view the architectural video of the project below. You can also view the video on Vimeo (higher quality) by clicking HERE. The video was shot by a friend of LUA, J North Productions. 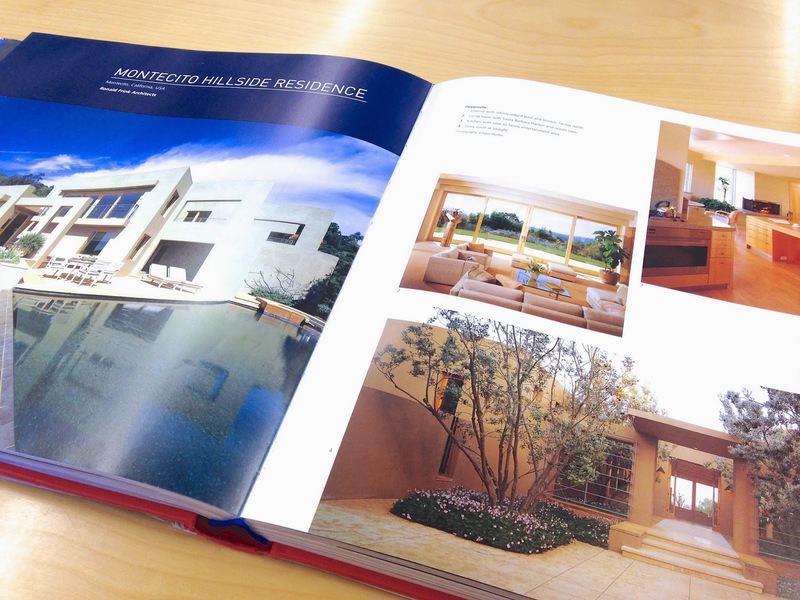 Established in 1977, Leonard Unander Associates, Inc. is an award winning Montecito Builder. The custom homes built and remodeled by LUA in Santa Barbara, Montecito, Hope Ranch, and Santa Ynez are a lasting testament to the quality and craftsmanship that is the focus of each project. Our powerful team continues to provide discerning clients with the exceptional construction process and finish product that has made LUA one of Santa Barbara’s premier residential construction companies. As a Santa Barbara Builder, Leonard Unander Associates, Inc. is proud of our membership in the Santa Barbara Contractors Association. Last night LUA attended the SBCA awards ceremony dinner, where our Villa Ravello Project was a finalist for the best residential project in the Large category. Take a look HERE for more images of this project on our website. This Montecito Estate designed by Appleton & Associates consists of 15,000 square feet comprised of a Main House, Guest House, Pool House, attached Garage, and semi-attached Study. The Santa Barbara Builder awards dinner was held at Fess Parker’s Double Tree in Santa Barbara. The custom equestrian facility that LUA, a Santa Barbara General Contractor, recently completed has been featured on the local website SBDigs.com. Check out the article and images HERE. Leonard Unander Associates is the Santa Barbara Contractor that has a feature in the local online publication “SBDigs.com” – check it out HERE. LUA had the opportunity to attend an educational lecture on the history of solar architecture and technology last week. Hosted by the Santa Barbara chapter of AIA, the speaker was John Perlin, an expert on solar technology and author of several books on the subject. Civilizations have been building structures and cities with solar technology in mind for 6,000 years, starting with the Chinese and continuing with the Greeks, Romans, and many other civilizations throughout history. Solar architecture and technology includes the siting and positioning of buildings on their properties, solar water heating, passive solar heating, strategic locations of shade structures and foliage for cooling, and now includes photovoltaic panel systems (solar panels) that convert the sun’s energy into electricity for the use of the building and it’s inhabitants. LUA and the Design Teams that we work with integrate solar solutions on many of our projects. From the location of the house on it’s site, to the size and positioning of windows, to the use of plant materials and architectural design for shade, we are constantly working with Owner and Design Teams to use the sun to improve the function of the homes we build. Additionally, many of our clients choose solar panels to supplement or offset their electrical consumption. As a Santa Barbara Green Builder, LUA is constantly looking for opportunities to expand our understanding of sustainable design and construction. Last night we had the opportunity to hear a lecture on the topic from a leader in the design of environmentally sensitive structures, Lawrence Scarpa of Brooks + Scarpa Architects. His lecture, sponsored by the Santa Barbara chapter of AIA, suggested that, while beneficial in some cases, the proliferation of the modern air conditioning system has in part led to buildings that don’t take advantage of nature’s inherent qualities (light, ventilation, etc.). Scarpa’s firm is focused primarily on the strategic use of natural ventilation, lighting, and shading of structures, accompanied by modern green technologies such as photovoltaic panels, improved insulating techniques, and high efficiency equipment when required. The lecture was held at the newly opened Synergy Business and Technology Center, designed by the local Santa Barbara architecture office of JM Holliday Associates. 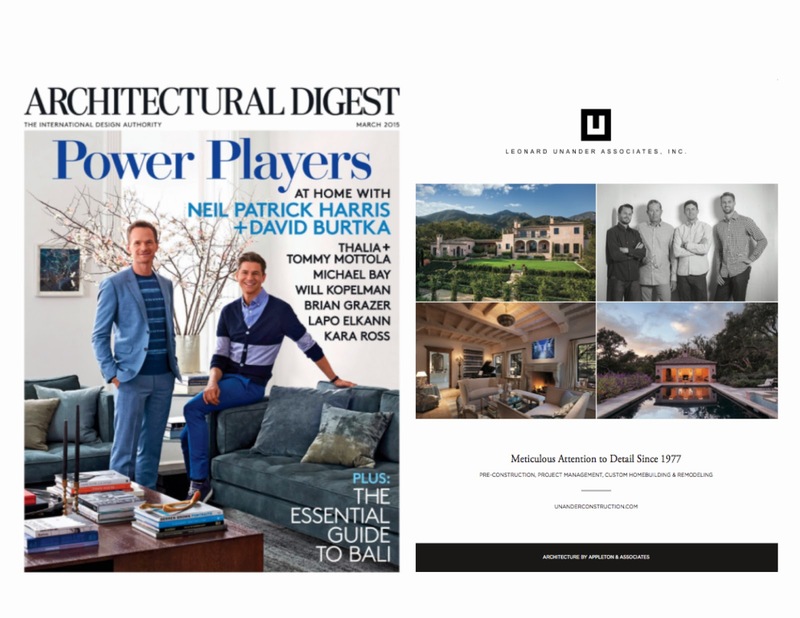 Leonard Unander Associates, Inc. is happy to announce that our Villa Ravello estate project in Montecito will be featured on this year’s Santa Barbara Architects AIA ArchitecTours event to be held Saturday, September 29, 2012. Please click HERE for more information on this event. Please consider attending and supporting our local AIA chapter. 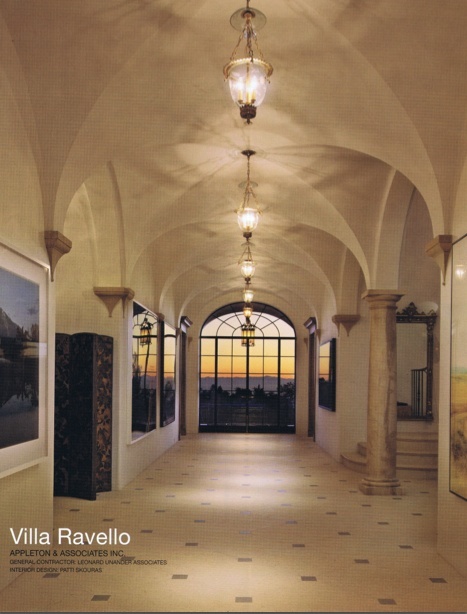 Here’s a photo of Villa Ravello- you can find more images of this project HERE. Another of our projects was featured on this Santa Barbara Architects tour a few years ago- here’s a photo of that project- and a link to more images HERE. LUA, a Santa Barbara General Contractor, recently attended a lecture sponsored by AIA Santa Barbara on solutions to avoid the development of mold in homes and commercial buildings.